If you are convicted of DWI or DUI in New Hampshire, your automobile insurance carrier will most likely find out about your conviction. 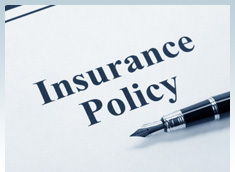 Generally, automobile insurance carriers will either significantly increase your automobile premiums, or simply cancel your policy altogether. Insurance companies use “risk” to calculate premiums for car insurance. Your geographic location, age, driving record, tickets, accidents and DUI or DWI convictions, affect your automobile insurance rates. Filing an SR-22 after a DUI or DWI conviction sends a red-flag to your insurance company, which will then trigger a review of your automobile policy and premiums. In the State of New Hampshire, automobile liability insurance is not required, but you must provide proof of financial responsibility following a DUI conviction. This is known as obtaining an SR-22, proof of insurance certificate. An SR-22 in New Hampshire is “proof of liability insurance” which must be submitted by an insurance company to the New Hampshire Department of Safety. If you have been accused of driving while under the influence of alcohol or drugs, you face significant penalties including a substantial increase in your automobile insurance premiums or cancellation of your automobile insurance policy. Retaining a skilled New Hampshire DWI defense attorney should be your first step in securing the best possible outcome in your DUI/DWI case. At Tenn And Tenn, P.A., our experienced New Hampshire DUI defense lawyers will examine every detail surrounding your arrest to ensure that your rights are not infringed upon in a court of law. If you stand accused of DWI, please do not hesitate to contact us today at 1-888-511-1010 for a free telephone consultation of your New Hampshire DUI case.